The Department of Public Safety confirmed one man died Wednesday after a three-car collision on southbound State Route 347 north of Riggs Road. Emergency crews transported a woman in another vehicle to Chandler Regional Hospital with life-threatening injuries, and a third motorist involved in the accident was treated for neck pain, DPS spokesman Bart Graves said. The woman later died, also. 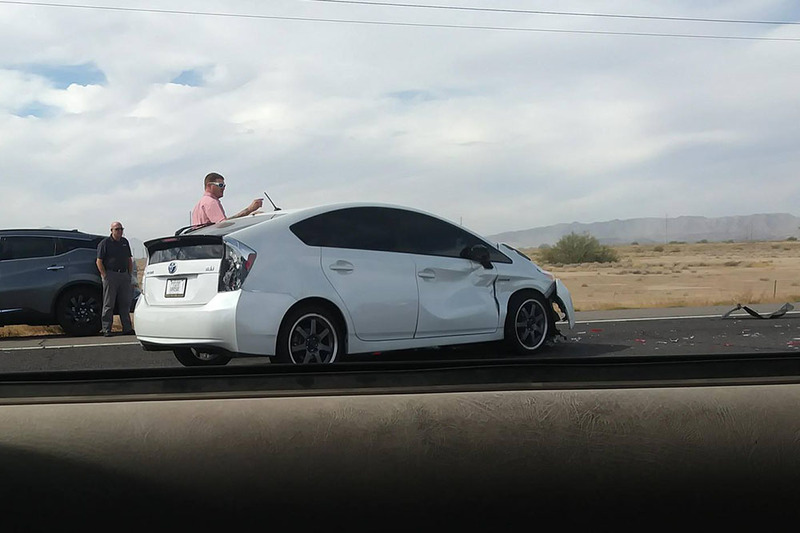 “Apparently there were two vehicles stopped [for the light] at the intersection southbound SR 347 at Riggs Road in the number one lane. A third vehicle struck both stopped vehicles,” Graves said. DPS reported the driver who hit the other vehicles was the man who died. “The deceased driver was not wearing a seat belt. He suffered major head trauma,” Graves said. The accident shutdown southbound lanes while emergency crews worked the scene. Graves said DPS is investigating whether impairment was a factor.